This is an archival interview which took place in October 2010. 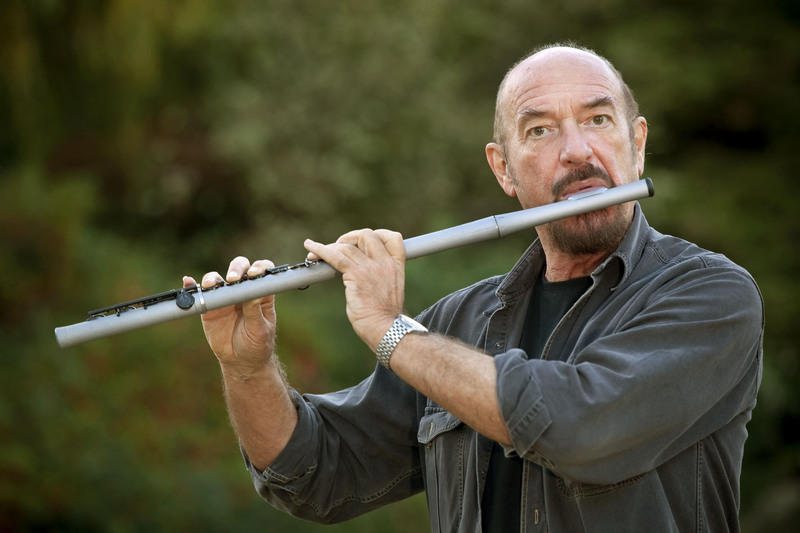 Ian Anderson is many things, a lot of which you already know of – the Wildman with the flute fronting the legendary band Jethro Tull, the writer of classic rock staples like “Falling On Hard Times,” “Aqualung,” “Locomotive Breath,” and “Bungle In The Jungle.” You might, and ought to, be familiar with his solo albums “Divinities,” “Rupi’s Dance,” and “The Secret Language of Birds.” What you might not know is that Anderson is one of the most articulate, professional (and punctual) practitioners of his chosen field. This is to say that, in spite of being a rock and roll icon, Anderson remains a gentleman. 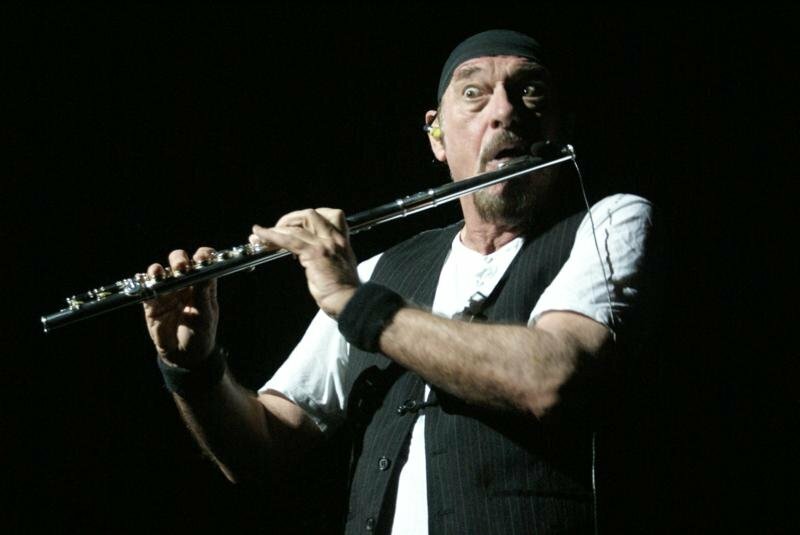 When trends, production styles and the majority of today’s Hot 100 stars have dimmed, somewhere they will still be playing the music of Ian Anderson. Well, the one I suppose you’re referring to hasn’t started yet because we’ve been on tour since the beginning of March doing Jethro Tull shows up until the middle of September. 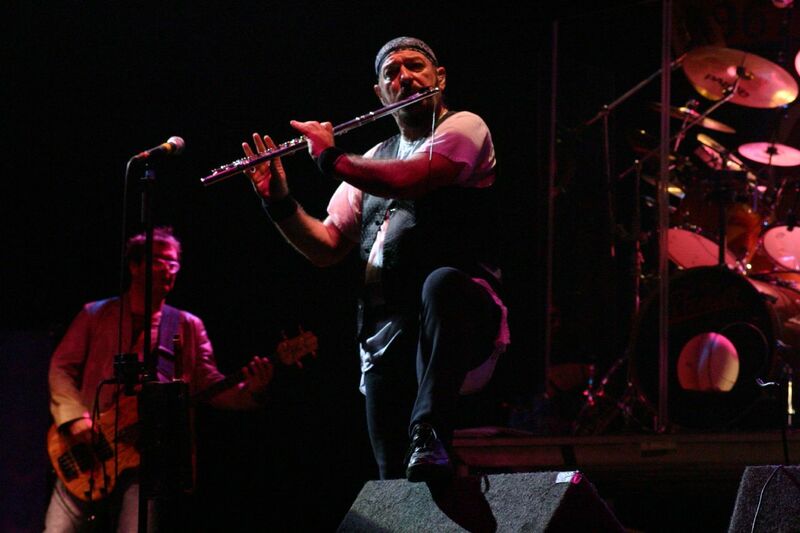 We then switched to Ian Anderson shows for the rest of the year, and apart from a week or so ago were in Armenia. We are starting the North American leg of the ongoing touring dates in a couple weeks time. It’s going fine; it hasn’t started yet as we have rehearsals next week, and we’ll be relieved to pin down the final setlist choices, and work out a few more arrangements, learn a couple new songs and get everything in good shape for the trip to Canada, where we start. When you’re putting together a setlist, are there markedly different mindsets a Jethro Tull show or an Ian Anderson show, where you could draw more from your solo work? Well, it’s a different mindset in the sense of it being a slightly different emphasis on the more esoteric for the Ian Anderson shows because, whilst we do play quite a few classic Jethro Tull from the well established repertoire, we might do them with a different arrangement, so we might throw in quite a bit of stuff from the deeper catalogue items that don’t get played on radio, for example. 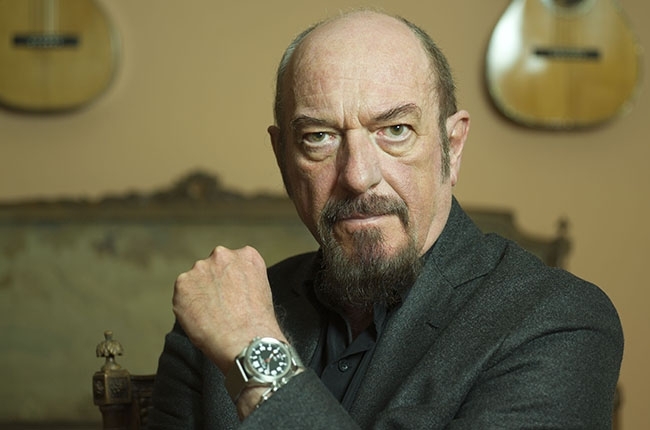 So, we go a little further into the back catalogue of Jethro Tull stuff, and then we toss in a few pieces from my solo albums, and there are probably four new songs, and a couple of songs that are from the world of classical music, rather than rock music. But it’s a varied and eclectic set, mostly acoustic in the first half, and mostly electric in the second. (A personal aside), does the song “At Last, Forever” from 1995’s Roots To Branches, ever get any play on either side of the touring? It’s a personal favorite of mine. Well, no it doesn’t actually. That’s a song I don’t think we’ve… I can’t actually remember playing it live on stage, but there are a lot of songs that have never been played live on stage! There will be a couple of them during this coming tour. There are always some things you take a look at, sometimes because, like you, people will mention it to me, that they have a favorite song, or a song they’d like to hear that sets my mind going, and then I go listen to it. Maybe a few weeks or months later, we might try that out as a live piece of music. But you can only do so much of that, and out of all the material we’ve recorded over the years, there’s going to be quite a few we’ve never played on stage, that have just been born, bred and executed in the studio. In both touring entities, are there songs that really get the electricity going in the audience, and you see it from the moment you strike up the first chord? Are there specific songs which do that? I think there are songs that are most likely to get a reaction; songs like “Aqualung” or “Locomotive Breath” but it will very much depend on the time of year, whether it’s an indoor or outdoor show, whether it’s a seated or standing audience or whether it’s Brazil or Switzerland, in terms of the national psyche. I don’t believe they respond in stereotype, but they do have certain tendencies, you know. The Japanese are notoriously reserved as, indeed, some folks in Europe might be the same. You will tend to get a different reaction, more to do with whether it’s sitting or standing, indoors, outdoors. Those are the main features. So there will be some songs, particularly at an outdoor show, in the summer in Italy (or wherever it might be) to what seems to be a younger audience; then there will be a more obvious reaction when they hear the benchmark repertoire, the stuff for which we are known and, I suppose, the stuff whereby the rest of the music will be judged, because it’s that most often played, most well known repertoire. It happens, but that’s not something I don’t think really affects me. I’m kind of busy doing my thing, from my perspective, and maybe some of the other guys in the band go, “Oh, whoopee! They like this one!” It doesn’t really impact on me in quite the same way. I’m busy about some other nuances of the performance. Can I hear myself? Are the drums too loud, or was that a nasty bit of distortion that occurred on the acoustic guitar? Whatever it is, I’m usually too occupied with other priorities. I don’t feed off the audience in a sense of minute-to-minute or song-to-song in the way that, perhaps, people might imagine. I think it’s a little dangerous to do that because you could start to depend upon that reaction for your own enjoyment of the music. I try to find my enjoyment of the music rather independently from the audience. I think that’s a safer, truer way of getting my jollies from performing music. I’m happy to have an audience there! It’s indeed very important! (It’s) very important to get the feeling of their impression and their reaction to the music, but it’s not something that dictates to me how I’m going to play or perform. I think I can manage quite well in rehearsal, when there’s nobody there except the cats and the other guys in the band. The music industry, as such, is in a state where artists go out and their primary revenue stream is coming from the live act. You’ve been at this for quite awhile – have you noticed this change where, at first, it was the band going out to get recognized and buy the album, then the band went out to sell the album because they were already known, and now bands go out because that’s where the money is, and the recordings have almost become calling cards. I think that’s a perfectly apt observation, yes. I don’t think it’s something that’s happened in the last year or two. It’s something we became aware of ten years ago, when record sales were universally, according to the record companies, were beginning to drop off quite a bit. And that, of course, during the rise of the digital age has become more cemented as a very strong reality. I think it’s something that probably goes back ten years. There are those bands that, maybe, have to make a big adjustment because they were not live, touring bands. And then bands like Jethro Tull, for example, who have always played live and, for whom, this is not such a great shift, except for the fact that we can see our record sales have dropped away, pretty much in line with the industry standard over the last ten years. Whilst we have digital sales, because of our catalogue being available digitally for paid downloads, the actual income from those paid downloads is absolutely miniscule; either because we don’t actually get that many paid downloads or perhaps because the rate on which we’re paid is so incredibly small! Basically, on a paid download from iTunes, you’ll be getting about a quarter of what you would from a physical sale of an album. That’s just the artist royalty, the income essentially from record sales; I think you would have to say was half of what it was ten years ago, perhaps even less than that if you go back twenty years. All is not lost, because live performance for us has always been, I guess, about 50% of our income anyway in all the time through our career, whereas now it’s possibly a slightly larger percent. Not a huge amount of difference because the economy, as I’m sure you’re aware, has been taking a bit of a pounding throughout the world, particularly in the USA at the moment, lagging behind the slow but resolute recovery in Europe. These days, the US dollar is pretty much the sick man of international currencies; it’s starting to fall against the Euro and the pound quite markedly past the last two or three weeks, particularly. Things don’t look a whole lot better because the figures coming out of the USA suggest that not only is recovery much slower, but there’s a lot of heartache and wallet-ache on the horizon. Politically, things aren’t too good for the Obama administration, in terms of trade figures for the USA. Things look relatively bleak. Against all the odds, the Euro, which was looking very threatened a few months ago with Greece, Portugal and Ireland looking pretty shaky, has overcome that storm and within two or three weeks has stabilized. The Euro is much the stronger of the major currencies these days. Those things, I think, are more important rather than the live-or-recorded music debate, because it’s essentially about a global economy, particularly one that affects the USA and, to a lesser extent, the UK, and a much lesser extent Europe and the Eurozone economies. Even Russia that are not really a part of the Euro economy, as our next-door neighbors as it were, tend to be doing pretty well. Of course, China and Japan have their ups and downs, but bullish economies in China and India (perhaps are somewhat artificially bullish!) but it’s not good news for the American dollar. You have to take into account the live performance industry, according to promoters, is down about 20% this last summer because of the optimistic approaches by people like LiveNation Promotions, resulting in some very, very major losses for that particular company. They must be questioning how they’re going to survive into next year if they don’t really start pruning the amount of concerts they’re doing, and what they’re prepared to pay the acts. You have LiveNation, AEG, and a few independent promoters who are competing. I think they are paying acts too much money in the desperate act of trying to “play a few winning cards at the casino.” Casino promotions is a lot like casino banking, in that it’s a dangerous pursuit. I think there’s got to be a more realistic approach from those who bet on the live performance, the live concert touring industry to start being a little more resolute and not to pay what agents will demand on behalf of their acts. Jethro Tull is about musicianship. Does it bother you that the conversation moves from that high-minded ideal and comes down to the nuts and bolts of the financial mechanics versus the music, or is this just the nature of the beast? It’s a part of the job which I do and I don’t have difficulty separating out the administrative, the management and the more practical sides of my musical activities from the more esoteric and creative side of it. To me, it’s just two sides of the same coin. I don’t have a problem making that little mental switch from one minute to the next, really. I quite like the practical, more down-to-earth issues – deciding which flight to take, or which hotel to stay in, or how to travel, when to play, in what venue and what the ticket price structure might be. All these issues are part of my life, and have been for most of my musical career. It is part of what I do. I rather like it… But I don’t have to do it all the time, thank you. We don’t go rushing into the studio, for sure because, actually at my age, the prospect of spending three months in a room with no windows while I write, rehearse, record, overdub, mix and master an album does not really appeal when put into the context of the playing in many countries of the world, or visiting interesting places, and getting the opportunity to be out and about, which is something that will have a line drawn under it sooner or later. For now, I would put the emphasis on live performance before I would want to spend time in the studio. But writing the music, of course, is just something that goes on anyway. You come up with new ideas and you want to pursue them. The opportunity exists to play them live on stage, and that’s part of the tradition that goes back to the earliest days of our band. We wrote music, went out and played it on stage and, if it seemed to click with the audience, and sometimes even if it didn’t, we’d then get ‘round to recording it at some point. That’s the way it is now. So whilst there are quite a few new songs in the last two or three years, some of which have been recorded, although maybe not completely or they’re not mixed, certainly not released, and there are a few more that could go that route. It’s not a priority. It’s something that I tell myself, sooner or later, I’ll get ‘round to doing it, and make them available to our legions of adoring fans (“laughs”) when it feels appropriate to do so. The priorities are jumping on the next airplane. No need to rule out a Jethro Tull album in the future, but not a priority at the moment. It’s very much something that’s at the back of the list of must-do’s. Certainly doing a Jethro Tull album is a whole lot more difficult than me going into the studio and making something on my own or with the guys who are, geographically, closer to me. Jethro Tull stuff is much, much harder. Our longstanding drummer, Doane Perry, lives in Los Angeles and it’s a mighty job to get him over to the UK, and be staying in hotels, rehearsing… It’s just an enormous thing which, if you’re on the road a lot… He’s not, at his age and having a lot of health issues over the years, he’s not… I’m sure that he would like to do it, but it would put a lot of pressure on his personal life, his family life, if he was to be adding to his burden of being away from home by coming over to record. And both Doane and Martin Barre have other things they do, in both live performance and recording, and so do the other guys who play with me in my solo band. We all have to kind of fit these things in. People have their projects, plus their family commitments, holidays, school runs. A couple of them are young enough to have school children. Have there been points after a tour where you’ve said, “Please don’t call me, please don’t commit me to anything. I am recharging.” And in the downtime, what do you do to get back into fighting shape by being away? Are there things you do to achieve that? The answer is, no, there isn’t. It doesn’t quite work that way. I don’t think taking any prolonged period away from live performances, for me, is either desirable or a good idea. It’s nice to take a week or two off, but a couple of weeks away from touring, and the actual performance and the physicality of live performance, and the mental focus as well, it’s probably not a great thing to do. My ideal week would be to play a couple of shows every week, except maybe a couple of weeks at Christmas. But otherwise, doing a little often is a far better game plan because you do stay physically and mentally within that state of readiness. There’s a period of time around 1985 when we were off the road most of the year, and I was pursuing other activities outside of music at that time. Deliberately, we just took some time away from touring, but that’s not something I think I would repeat, just because I know from experience that it’s quite a mountain to climb to get back to a state of mental and physical readiness, if you’re away for more than a couple of weeks. Even after two weeks, for me certainly, I have to put in two or three days of fairly dedicated preparation just to focus my mind on the actual music, the right notes to play, and also just physically to get back to strengthening the ombusure (ed: the mouth, or the shape of the mouth’s muscles in order to play a wind instrument), being a flute player, my fingers, being a guitar player, and my voice, being a singer. I don’t relish the thought of putting my feet up for three months or six months, and then say, “don’t call me, I’m on vacation.” It’s not something I think would be a sensible move. Those sorts of moments tend to come early on in your career. For me, the point where there was a real affirmation of having made the right career choice probably came playing at the Sunbury Jazz and Blues Festival in the summer of 1968. That was the point where, suddenly, we were part of a wave of accepted new talent that had emerged from the little clubs because, basically, we had been playing for six months around all the little blues clubs around England and we played a festival for the first time at which, all of those audiences, twenty people here, fifty people there, a hundred people somewhere else, would converge on this fairly major outdoor festival date in the south, and they knew who we were! So we suddenly became established, not just in our minds, but in the minds of the media who had to, at that point, take notice of the fact that this relatively unheard-of young band had got this enormous grassroots following, and live on stage in front of their eyes was this enormous appreciation. I think that was the moment we thought, wow, we’re actually here! If we don’t do anything too stupid, we could stick around for a little while! So that was a tremendous feeling of having opened a door and really, having stepped into the room, into the bright light.